Who doesn’t enjoy spending a sunny day on the crystal clear water? Here in the Dominican Republic, Barcelo Bavaro Grand Resort, Occidental Punta Cana and Occidental Caribe make it easy to experience unforgettable adventures, including scuba diving and snorkeling. 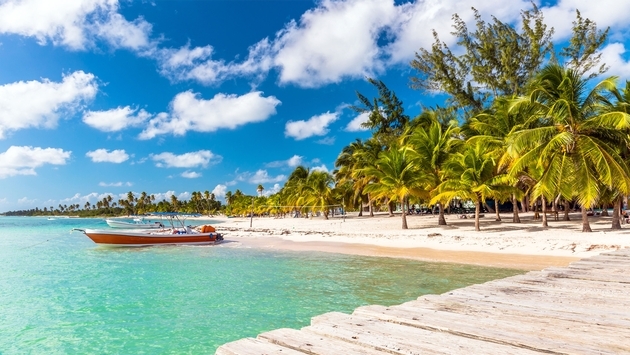 Here are just a few to enjoy during your Caribbean getaway. The Sanctuary of the Humpback Whales in Samaná is one of the world’s most important destinations for humpbacks. Each year, at least 2,000 congregate in the warm waters. Taking place between December and March, it really is a must-see humpback social occasion. Located in Cabeza de Toro, the Marinarium is your gateway to an aquatic wonderland. Enjoy Punta Cana snorkeling and scuba diving with stingrays and nurse sharks. After, take a scenic sightseeing cruise along the spectacular coast of Cabeza de Toro and Bávaro. No, you’re not dreaming—Saona Island really is pretty close to heaven on earth. Discovered by Christopher Columbus in 1494, it’s been captivating visitors ever since. Packed with lush mangroves swaying in the breeze, crystal clear waters, and brilliant white sand beaches, a trip out here will have you thinking that life on a deserted island may not be so bad. Likely the best beach in the Dominican Republic, Playa El Cortecito is located right next to Occidental Punta Cana. One of Bavaro’s most fun and funky stretches of sand, it’s filled with friendly locals, visitors and many shops and restaurants. Take some time to check out the boutiques selling authentic local crafts and souvenirs, and then hit the waves or soak in the Dominican sun. For more information on Barcelo Hotels, check out their blog page here.